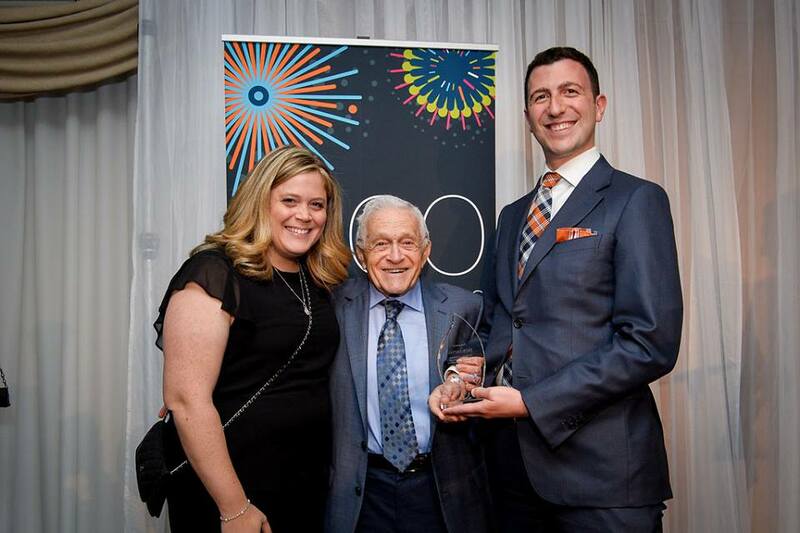 Jack J. Fattal (standing on the right, with Karina and Arthur Roskies) receives the Jon Roskies Award for New Leadership at the 2017 Jewish Leadership Awards. I had the pleasure of participating in last year’s JCC Choice Business Club and then returning for this year’s session as Co-Chair. Over the six evening sessions, we met at Federation CJA to share dinner, participate in interactive group discussions, and hear from guest speakers. There are few better opportunities to network so closely with other young, successful, motivated and like-minded professionals and entrepreneurs as the Choice Business Club. We greatly benefited from establishing key contacts and engaging with the future leaders of our business community. The participants were given the opportunity to exclusively represent their industry and showcase their business and expertise. In my case, this led to establishing at least a handful of new business relationships. Furthermore, we learned a tremendous amount by hearing from phenomenal guest speakers on a variety of topics. These included negotiation, personal branding, body language and nonverbal communication, networking and maintaining business relationships. I was able to immediately put these tools and skills to use in my professional life to serve my clients more effectively, and enhance my career growth. Apart from these professional benefits, I also appreciated the opportunity to work closely with the JCC and our tightknit Montreal Jewish community. Participating in the Choice Business Club led to a co-chairing leadership role, which I expect will result in further opportunities to contribute my time to the community. While there are other business networking clubs in Montreal, only the Choice Business Club provides so many social and community spinoff benefits. Through the Choice Business Club and other JCC initiatives, we appreciate that Federation CJA is so committed to ensuring a rewarding community life in Montreal.